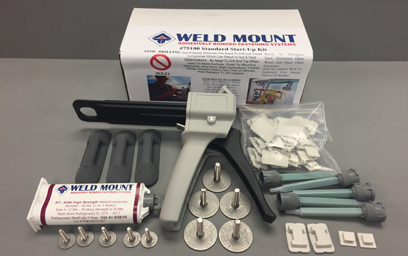 The Weld Mount System is a unique line of fasteners designed to be adhesively bonded to almost any surface, elimintating the need for drilling, tapping or welding. Eliminate drilling into composites exposing the core to moisture. 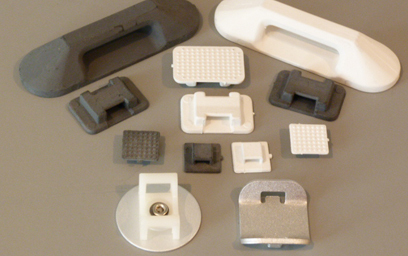 Eliminate the need to use blocking to mount components saving weight & labor costs. We have a fully stocked warehouse. That means when you order today, we will ship it today. No load times. 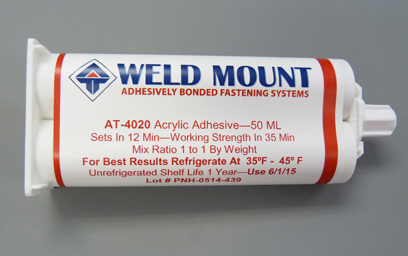 Our unique line of fasteners are designed to be adhesively bonded to almost any substrate. We offer products to fit your application, click here to learn more. Wondering how our products and adhesives work? Visit our How It Works page for lots of instructional videos to learn more. Looking to purchase our products? Click here to see the full list of internet, retail and wholesale dealers that currently carry our line of products. Sign up for our mailing list to have the latest updates sent straight to your inbox!